For the sixth time since 2012… or seventh if you count the year that it became Burn Amarr… the Burn Jita event returns. The word came down, first at the weekly coalition fireside, then on the Meta Show an hour later, and finally in an obtuse post over at INN, that Burn Jita would be held again this year, with the last weekend of the month being the current anticipated target date. Soon Coercers, stockpiled in the tens of thousands in a station in Jita, will be handed out to all and sundry who care to join in. The scouts will be out, the bumpers hitting designated ships as the MiniLuv FCs undock wave after wave of sacrificial ships to be spent in exchange for freighters, Orcas, and the occasional industrial. The result will likely be billions of ISK in ships and cargo lost as these fleets strike again and again at shipping in the main trade hub of New Eden. You can read about the aftermath from last year, or the year before, if you like. Expect more of the same. The crazy bit is how easy it is to avoid. Not logging in is always an option, but I suspect that if you stayed at least three jumps away from Jita you wouldn’t even notice Burn Jita was going on. You might even be a bit safer at some of the common gank choke points, if only because so much attention will be focused on Jita. Yet people will undock and head into or out of Jita in their haulers, laden with cargo. The event pretty much depends on ignorance, and of all the resources that humanity has to draw upon, ignorance seems to be the most plentiful. Just look at the current, completely preventable measles outbreaks hitting children this year. And EVE Online is no different. Despite the announcements I mentioned, despite all the signs, people will carry on as though nothing out of the ordinary is happening. CCP can put that warning on the launcher and they will carry on. 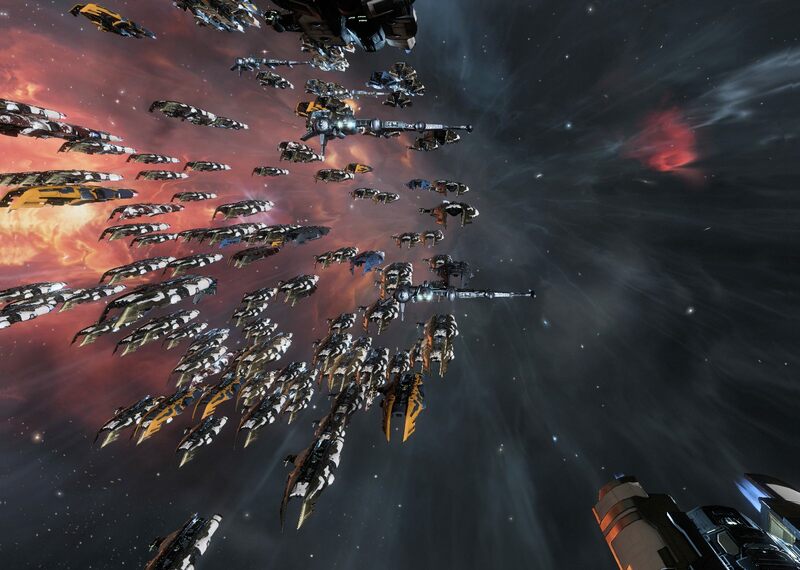 Local in Jita will be full of spam related to the event… from warnings by those opposed to the event to offers to sell you a pass to exempt your ship to the ever present “buzz” of the many BJBee alts… and people, many people, will still undock their freighters and set out to unwittingly become part of the carnage. If 2019 follows the pattern of past years, there will be pretty much non-stop kills during peak hours, as two or three gank fleets undock in rotation to land on another unwary target, blow it up, get blown up in turn by CONCORD and those seeking to pad their killboards with some easy kills, then wait out their timer before re-shipping and doing it again… and again… and again. There are a couple of wildcards in the mix this year. MiniLuv, the high sec ganking wing of the Imperium had a falling out with CODE, the other big force in high sec ganking, so that CODE will likely not be joining in on the event. That may reduce the number of skilled hands guiding the unwashed BJBee pilots on their suicide runs. Also there is an ongoing battle over the trade hub empire in Perimeter, one gate away from Jita. The fighting there, which pits TEST and the Imperium versus Pandemic Legion, Pandemic Horde, and NCDot, has led to the two sides opening war declarations against each other. This means that those at war with the Imperium could put up fleets to shoot the gankers preemptively without having to worry about being shot by CONCORD. This has been tried before, to no great effect. However, with the conflict in Perimeter currently raging, both sides are already there in force. While there has been little impact with small fleets in the past, it is possible that a full on push by a big group like Pandemic Horde to suppress the event could make a difference. Ganks happen fast though, so any opposition would have to be on grid and ready to shoot fast if they want to make a difference. But those wishing to oppose the event can join those war decs so as to be allowed free fire on the gankers. Anyway, the preparations continue and, despite the public statements, little word seems to be getting out about the impending event. I guess it will just be another surprise again this year. 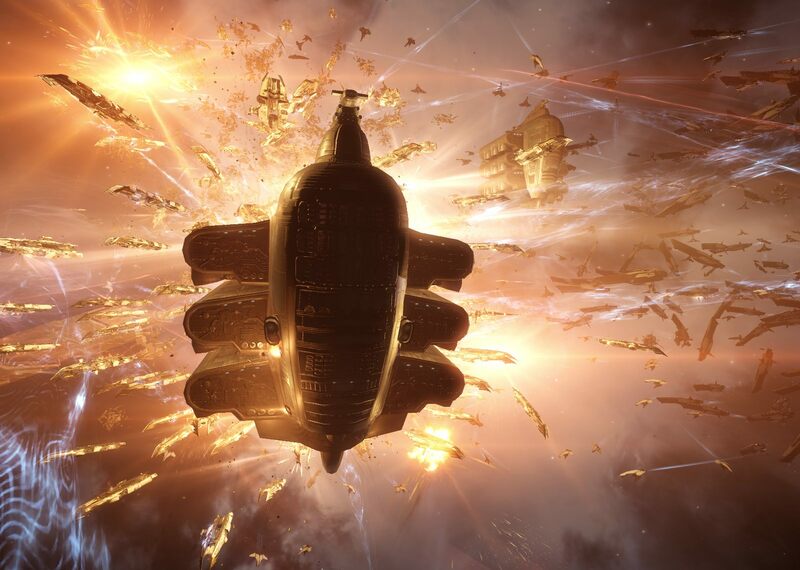 This entry was posted in entertainment, EVE Online and tagged Burn Jita on February 11, 2019 by Wilhelm Arcturus.